A bipartisan group of senators introduced legislation to reverse a deal the White House struck with Chinese telecom equipment maker ZTE. 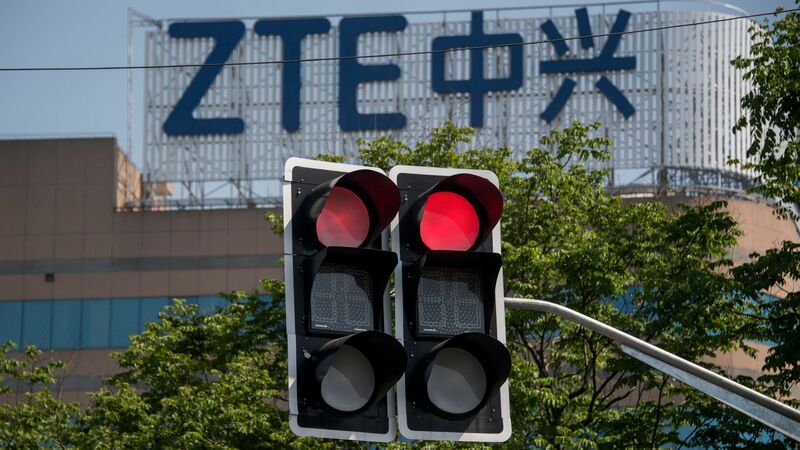 The backdrop: The U.S. has twice caught ZTE selling banned technology to North Korea and Iran. In April, the Department of Commerce punished the firm by barring them from using U.S. technology, including microprocessors. That effectively would have killed ZTE, but the White House announced Thursday the penalty would be reduced to a $1.3 billion fine with additional oversight measures put in place. Van Hollen had already successfully introduced an amendment that would thwart future deals with China to reduce penalties, crafted under the assumption the NDAA would beat the Trump administration's China deal to the fininsh line. It didn't. Many lawmakers suspect ZTE of sabotaging equipment sold to U.S. companies to help China spy on the U.S.